BOOK 6 — Talon, an assassin turned knight turned merchant, is restless. Enticed by tales of lucrative trade, he sets sail for the coasts of Africa and India. Traveling with him are his wife and son, eager to share in this new adventure, as well as Reza, his trusted comrade in arms. 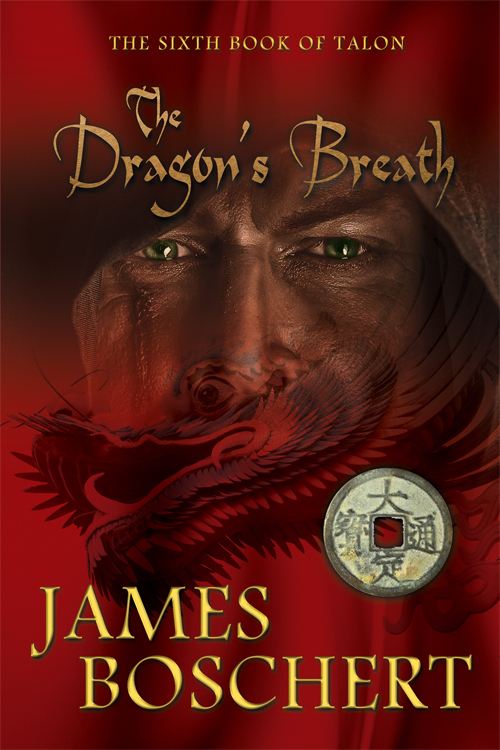 Treasures beckon at the ports, but Talon and Reza quickly learn that dangers attend every opportunity, and the chance rescue of a Chinese lord named Hsü changes their destination–and their fates. Hsü introduces Talon to the intricacies of trading in China and the sophisticated wonders of Guangzhou, China’s richest city. Here the companions discover wealth beyond their imagining. But Hsü is drawn into a political competition for the position of governor, and his opponents target everyone associated with him, including the foreign merchants he has welcomed into his home. When Hsü is sent on a dangerous mission to deliver the annual Tribute to the Mongols, no one is safe, not even the women and children of the household. As Talon and Reza are drawn into supporting Hsü’s bid for power, their fighting skills are put to the test against new weapons and unfamiliar fighting styles. It will take their combined skills to navigate the treacherous waters of intrigue and violence if they hope to return to home.